The Staging Diva Directory of Home Stagers welcomes back Designed to Appeal serving areas of New York and New Hampshire. Donna Dazzo is a Graduate of the Staging Diva Home Staging Business Training Program, and she has chosen to renew her full listing on the Staging Diva Directory of Home Stagers making this her fifth year advertising with us. Even though she has a separate home staging website, Brooke knows her full listing on the Staging Diva Directory will enhance her site’s SEO and she can also be sure her business is found by anyone searching for a stager in her city. 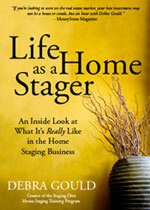 Learn more about adding your home staging business to the Staging Diva Directory of Home Stagers. Do You Have Home Staging Talent? Home Staging More Profitable than Textile Design? © Voice of Possibility Group Inc. All rights reserved. Republication or dissemination of this content is expressly prohibited without written permission.